I was born on September 14, 1967 in Bristol, CT. I am happily married to my best friend Brenda, and together we have seven wonderful children. I am a practising and devoted Roman Catholic, who intends always to be in communion with the Catholic Church and its teachings. My priorities are loving and serving God and my family. I have been working in the Computer tech support field since 1992, and I have been a Computer Help Desk technician since 1996. I was not always a practising Catholic-- up until age 28 I was very indifferent towards God, faith and religious practice, along with having an exceedingly selfish and self-centered outlook on life. But God is infinitely forgiving and kind, and in His great mercy and love He changed this foolish and poor heart of mine. -May He be blessed forever! I am still very much a sinner, but at least now I recognise and acknowledge my many faults, trusting in God's mercy and forgiveness. 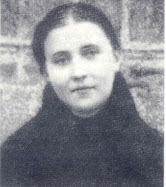 I have a very special devotion to St Gemma Galgani, whom I consider my special patroness. Around the year 2000, I happened across an article about her on the Internet, and her special love and devotion for Jesus and Mary touched my heart immediately. I began to read some of her writings and I saw in her a model of love for God that I would like to have. I wanted to make her prayers my own, and her love for God my own. Her spirituality and intense love and devotion for Jesus and Mary struck me deeply. When you read her writings, you quickly discover that she was not a person of lukewarm devotion. Jesus was everything to her and her heart was all on fire for the love of Him, and out of this love for Him she had a great desire to suffer in union with Him, for the salvation of souls. To know St Gemma is to love her. It is impossible to read her writings and not be touched by the fire of her love for God. Also her photograph struck me- the one where she is looking directly into the camera, and therefore into the eyes of the beholder. There is something special about her countenance in the photo...it radiates love, peace, and a strong faith and devotion. -All these things drew me to her. As I started to become devoted to St Gemma, a time came when I was interested in obtaining a relic of hers, to have her with me in a special way. I wrote to a number of Passionists, and one kind Passionist priest in New York offered me two relics of St Gemma. Remarkably, they arrived on St Gemma's birthday, (March 12), just as my family and I was beginning the rosary. It was Gemma, I believe, who arranged this "gift" on her birthday, as a sign of her friendship. And I received this gift with great joy. 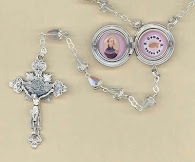 One of these two relics of St Gemma was a relic locket, which for years I have been wearing on a necklace, close to my heart. Reading the lives of the Saints I believe that God places attractions and desires in our hearts, to lead us closer to Him. Gemma wrote about Jesus placing certain desires in her heart and she would say "..it is You who placed this desire in my heart" or elsewhere "Jesus gave me the desire..."
And I believe that God gives us a devotion to the Saints to lead us ever closer into His Sacred Heart. He gave Gemma a strong devotion to St Gabriel Possenti, and how much she loved and admired his holiness and virtues! She confesses that she prayed to him throughout the day, and she even wore a relic (his tooth) on a necklace for awhile. The Saints lead us closer to God by helping us to obtain the virtues that we lack, and they help us overcome our sins and faults. Perhaps the very Saints that God gives us are the one's who excelled in the virtues that we are lacking in, or who have overcome similar faults that we have, and thus we can especially benefit and learn from their particular example and heavenly assistance? St Gemma had a great devotion to St Gabriel Possenti; St John Vianney (the Cure of Ars) had a great devotion to St Philomena; St Teresa of Avila had a devotion to St Joseph...the list goes on and on. I believe that for many people, God places a devotion to a certain saint within their hearts, so that the person may follow that saints holy example, and draw closer to the Heart of Jesus through the particular help and intercession of that saint. In this site I will offer some of her writings which I hope will inspire others to a greater love for Jesus and Mary. It is my sincere prayer that through this website, God may draw you ever closer to Himself, through the intercession of Saint Gemma. Those interested in reading more about how I came to know St. Gemma and my devotion to her can read this article entitled "One persons devotion to Saint Gemma -Webmasters story." This website is all for the greater glory of God. -Blessed be God in His Angels and in His Saints! --St Gemma Galgani, pray for us! For some weeks now, I have the Picture of St Gemma beside my computer - I do not know were it came from, it is old and it looks as if someone tried to burn it. The angelic beauty of this Saint implores one to ask for her help - Everyday I now I find myself more drawn to her for help, protection and assistance in my needs - tonight I came across your site and I have now made your website my home page - Thus I will start with St Gemma’s protection as I log on. 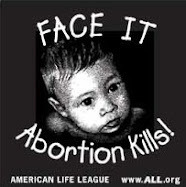 Thank you - your site is excellent - May God bless you and your family and I pray St Gemma intercede and the people elect a Pro Life President. As I have said elsewhere, I don't believe in "coincidence", but only in the Providence of God in all things. That is why you have the St Gemma picture next to your computer the past few weeks and also why you visited this website. Dear Glenn! What a beautiful blog. I am blessed to have a first class relic of St. Gemma Galgani. I love the prayers that she composed. I will use them often as my very own, but will always remember that they came from her heart. Blessings to you and your family in great abundance!!! It is a pleasure to meet you. Thank you so much for your kind comment. I am glad to hear you liked the prayers of St Gemma. Yes, St Gemma's words and prayers really came from her heart, and I think that is why they are so beautiful and edifying. You have such a wonderufl site! You know what? I want to learn more about St Gemma Galgani! I heard her before but through your iste she made an impact in me! Just a question: how do a person know that he has a devotion to a particular saint? I want to know my patronn saint too! God bless! I'll be reading your site now. Regarding a patron Saint, I think that the Saint will inspire you in a special way, he/she will "strike a chord" with you, so to speak, perhaps through something they said in their writings or something that they did in life, and from that moment they will have a special place in your heart. They become your "special friend", someone whom you admire and look up to; someone you want to imitate in their love and devotion to God. That, at least, is what a patron Saint is to me. I am so glad to find this site today (from The Curt Jester). St. Gemma is my confirmation saint, but I've only read sketchy biographies of her life. I can't wait to delve in. Thank you for collecting this information in one place! Hello Milehimama. It is a pleasure to meet you. I hope you enjoy the website! My name is Fr. Todd Bragg and I am rector of a small Anglican parish in Indianapolis. I have had a great devotion to St. Gemma for a number of years now. When I was in the seminary, a fellow seminarian told me about St. Gemma, whom I had never heard about before. I did some research and found out about St. Gemma. I attribute my getting through the seminary to the intercession of St. Gemma Galgani. When I was facing difficulties in my seminary training, I would say a prayer to St. Gemma and implore her intercession. Each and every time, St. Gemma would never fail to intercede on my behalf. She always came to my aid. I have kept my devotion to St. Gemma over the years and I consider her to be one of the very special saints in my life. You have a wonderful, beautiful website and I am so happy that I was able to find this website. Thank you for all your dedication and hard work of behalf of our dear St. Gemma!!!! God bless you and your family! It is wonderful to hear of your devotion to Saint Gemma and how she assisted you in your seminary training. -Hence the reason for this web blog. So, I hope you enjoy the website and let me know if you have any suggestions. A few minutes ago I send you an email using the one you give under your personal introduction, but apperently it did not work. So I came back trying to find out why and I discovered that you have this space where I can post this comment. I hope you receive this note and that you will be able to let me know. 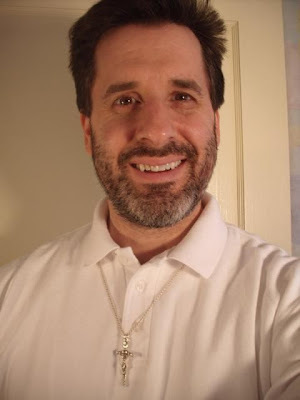 My name is Fr., Claudio Piccinini, C.P. 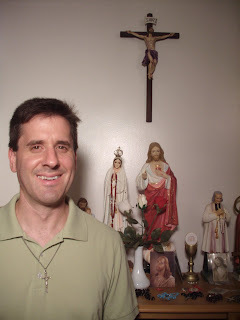 I am, as you can see from the letters after my name, a Passionist Priest living in Canada. Not too long ago I discovered your website and I could not believe what I was looking at. I wanted to know who was doing it and this evening, or better yet, this morning, I finally discovered your identity. The work you are doing and the way you are doing it is wonderful. I thank you an encourage you to continue. I know that you are doing a great deal of good by introducing St. Gemma to the English speaking people. If it is possible I like to hear from you. My email is frclaudio@teopoli.org. We also have a website that you can find at www.teopoli.org. I hope to hear from you. Once again thank you for what you are doing. May God bless you, your family and your work. Mr. Dallaire, THANK YOU SO MUCH!! You know what I'm talking about when I say this. I really appreciate what you did! Thank you also for being a great example to others! Your website seems open the power of the Holy Spirit and the Communion of Saints: St. Gemma Galgani et al. Recently I needed divine intervention to make it through the Church's process of evaluating and scrutinizing for the calling of the Bishop to the permanent diaconate. My formation journey began formally in September 2003. Through out the formation process there has been discernement My discernment, my wife and family's discernment, and now the Church's discernment. Some anonymous person suggested I find out about St Gemma. This was at the beginning of March 2009. I began the triduum novena to Gemma. I took her with me into "the board of scrutiny and admissions" interview; on March 18. I am reading "The Life of Saint Gemma Galgani". I am in awe. I feel her present when I pray and speak with Jesus. Sometimes I can't tell between them. I am an instituted acolyte. Each time I am at the altar, give Holy Communion, or am on the altar or tabernacle I take Gemma- spiritually and have her picture with me. Presently I am awaiting the call to or rejection to Holy Orders in the permanant diaconate.Gemma will be my parton Saint in diaconal ministry to the immagrant, sick and dying,evangelization, and in religious education. Please add me to your prayer list for intercession by St. Gemma Galgani to our Lord and Lady. My intensions are the call of the Bishop to Holy Orders, Ordination to the permanant diaconate, and unconditional service to Jesus and the People of God. Ordination is set for May 9. I have not hear anything. This week may be the week. Over the past 6 months or so, I have experienced an astounding conversion - though I have always been Catholic, my faith has been renewed and my love for Jesus set alight. I have been meaning to thank you for some months now, as I feel that Saint Gemma, through your website, has played a big part in my spiritual growth. Thank you so very much - for all your time, energey, devotion and charity. It is truly wonderful to hear of your "reversion" back into the practice of your Catholic faith. I also went through a similar reversion back to the faith about 14 years ago, as you probaly read. I am also glad to hear that you are benefitting from the website and St Gemma's extraordinary example of love for God. I pray and hope that she may be your special friend and advocate, and may she continue to inspire you to draw ever closer to our loving God. Gemma's last name is pronounced Gal-ga-ni -both of the "a"'s are short, making a "ah" sound. The "ni" at the end sounds exactly like "knee". Thanks so much for your kind comments. May God bless you and draw you ever closer to Himself, and may St Gemma be your special patroness. Sometimes there is no right words to express the sensation of Christ in your heart or even when He touch your soul.. When I saw the St. Gemma Galgani eyes, her look, I was stricken by God grace: started praying... and after all, I wanted to read again the storie and the St. events of St. Gemma Galgani and saying: St. Gemma, pray for us! Indeed, many people comment about St Gemma's eyes...they are deeply spiritual and deeply penetrating. I have received several emails from people who were completely drawn into reading her life and writings simply by looking at her photograph. One recent person who belonged to a non-christian religion happened across a photo of St Gemma, and was drawn to her, and started reading all of her writings. He then went through RCIA and eventually ended up becoming a Catholic, coming into the Church on the Easter Vigil, 2010. He is very devoted to St Gemma, and attributes his conversion to her. There is definitely something about her image in the photo that draws souls, and leads them to God through her. I am writing to find out more about this saint? My husband has been unemployed for over 20 months and I have prayed for a miracle. I am sorry to hear that your husband has been unemployed for 20 months and is struggling to find a new job. Can I make a suggestion? You probaly have already tried a novena or two but perhaps you can make a triduum or a novena to St Gemma, asking her intercession in obtaining a new job for your husband. Many prayers have been answered through triduums and novena's to Gemma....St Gemma herself was miraculously cured after making a novena to the Sacred Heart of Jesus thru St Margaret Mary Alocoque. -You will find a triduum and novena to St Gemma on this website. I offer my poor prayers for employment for your husband. I want to thank you for this wonderful site about St. Gemma, I love her very much. I found her picture "randomly" on internet and then your site and so I learnt something about St. Gemma. I am a 38 years old Croatian woman und I live in Germany. This week in my breast cancer was found. I pray for the intersession of St. Gemma for a miraculous cure to save my life. I want to live for my child Benjamin , who is 5 years old. I believe that St.Gemma can help me by asking the Mother od God and our Lord for me to get healthy.I would like to get a relic (third clas?) of St. Gemma, that would mean a lot to me because I have a lot of fear. Please Glenn, tell me how to get the relict, what must I do ? If the Lord wants me to get healthy I would like to have a baby girl,I want to call it Gemma to thank Gemma. I am wishing this very much and I hope that after the therapie a can /I am allowed to get a second child. I wanted to ask you if you ever have been in Medugorje, I believe in and love Our Lady of Medugorje very much like many Croatians. I will go there this year after therapy to ask Our Lady to save my life. I am praying that I will be able because of my health to go there, there are about 16-18 hours with the car from Stuttgart, Germany where I live. I am sure that Our Lady is appearing there. I believe also on JP II, he meant/means a lot for me in my life and ask for his intercession. Dear Glenn,where i can get the novene or triduum to St. Gemma on in Croatian or German ? At least please excuse my bad English. Thank you for your message and for sharing a bit of your life story. It is really nice to meet you. I am sorry to hear that you have been diagnosed with breast cancer. I am praying to St Gemma, asking her to intercede for you that you may be cured, if it is God's will. And I pray that Gemma may be very close to you, and may she lead you ever deeper into the Sacred Heart of Jesus. I was looking for a place to comment on the biography of St. Gemma that you recently posted. Did you transcribe the entire book yourself? Thank you and God bless you for making this treasure available to all of us who love St. Gemma. By the way, my 12 year old daughter is reading the Life of St. Gemma by Fr. Germanus, CP. Two of her classmates the other day told her that she looks just like St. Gemma. Pray that she will grow in virtue with Gemma as her guide! It is great to hear from you again....thanks for your kind comments. I am really glad to hear that you like Fr. Amedeo's book "Blessed Gemma Galgani". This book is a treasure of information on Gemma that is not availible elsewhere. What is more is that the English translation is so rare---it literally took me several years to find a copy in English. As Father Amedeo states in his introduction, much of the information comes from the "informative processes" that were gathered for Gemma's eventual beaitification/canonisation, all of which is in Italian and Latin. So they english translation of this information in his book is what makes it such a unique treasure. And so I spent many hours transferring it into a text file to be published onto this site, but I am very happy that I was able to do so. -All for the greater glory of God! As I type, I am cuddling our 5th child,our 3-month old daughter named Gemma. She is our own "Gem of Christ" and I'm thrilled she will grow up with a great intercessor in heaven--St Gemma. Thanks for this great site! It wonderful to hear of your 3 month old daughter, Gemma. I too have a little Gemma--she is now 7 years old, and is really a "gem"
-May God bless you and your family, and may Saint Gemma always be very close to all of you, and may she lead you ever closer to her beloved Jesus! How shall I pray to keep myself close to the Loving Lord? With lots of love and prayers for you and yours. Thanks for your kind message. Also, I received your email request for a couple of free St Gemma holy cards. I will mail them out to you tommorow, so you should be receiving them very soon. I am really glad to hear that you are inspired by St Gemma's extraordinary love for God. I think Gemma's "secret" to staying close to Jesus was love and prayer...she loved Jesus (and she loved others out of love for Him) and she prayed and talked to Him often throughout the day, and by doing so she remained always united to Jesus. This seems to be a key part of her spirituality and devotion. Anyway, thanks again for your comments and may God bless you and your loved ones. I wanted to learn more about St Gemma because I have the same name as her and I'm about the same age she was. I find St Gemma very inspirational and I also want to be as close to God as she was. Thank you for this website and all the information it provides. You are blessed to carry the same name as Gemma, and thus have her as your patron Saint. As you have proabley read, Gemma was a heroic and loving soul, and I pray that she may always be your special friend and advocate. please pray my husband is successful in his job interview on wednesday. he has been out of work for 30 months. thank you and god bless your work. I pray for your husbands upcoming job interview this Wednesday. -May God guide and help him that he may soon obtain suitable employment for your family. Thanks for posting an update...I was praying for your husbands interview and I am sorry to hear that he did not get this job, but obviously it was not God's will and of course He knows what is best. I will continue to pray that your husband finds employment soon. I want to say thank you for your prayers. My husband has just started a job. It has been long time. God Bless. I am from Ohio and wrote before. Thank you for posting an update...I am so happy to hear that your husband is now working! Thanks be to God!. I was praying for your husband, as requested, through the intercession of Saint Gemma. -God is always so good. May He be thanked and blessed always. St Gemma, pray for us! I have sent an email at your address. Best regards and happy sunday ! Reading your blog's text, I have just seen that St. Gemma is "Patroness of Pharmacists, loss of parents, those suffering back injury or back pain, those suffering with headaches/migraines, those struggling with temptations to impurity and those seeking purity of heart". Well, I tell you the truth: my mum is ill from sept. 2007 - she is suffering of Parkinson, like has happened to the Pope John Paul II, now Blessed John Paul II !! And until some days ago, I have had some impurity problems, since I am "internet-addicted". Actually, I should have prayed St. Gemma since summer 2004, according to what has told me - in L'Aquila - by a Passionist priest, coming from Tuscany, named Fr. Narducci, but I had not been able to make suche prayers since I had been fallen in love and the girl related to such wrong love seemed me lookin alike St. Gemma. Again, in the second part of 2008 (or 2009, I do not remember well), in a church in Ancona, I have found some pictures of St. Gemma. Finally, days ago starting praying for Mum St. Gemma I have found your blog ... after the 3-days prayer you have posted on line, I have started to look into your blog ! Then I wrote the email from pier73filippo@gmail.com; then I have been into FB to see if I could eventually join your FB friends. In FB, I discovered the other blogs - the one of the mystics and the one of the miracles ... finally, I have turned back here ! Jokingly, I tell "obviously" is all just a chance, but it is untrue! And, finally, think, tonight, talking by phone with Dad, I supposed Mum is better now (she is still at L'Aquila's hospital), because Dad's voice was relaxed and serene, while dayus ago, Dad has told me "mow we just need to rely on God's Providence". Really, I have started praying some novenas (two to St. Gemma, one to Fr. Pio from Pietralcina, one to the Sacred Heart of Jesus, one to Mary Mystic Rose, one to St. John Bosco) and the, just ended, 3-days prayer to St. Gemma found in yuor blog. Hi, i have something to share with you. There is a website i found that has St. Gemma Galgani's book by Fr. Germanus but it is in french, you have to translate it to English using google translate. Thanks for your articles. Hello Glenn, I came across your website a while back and I absolutely love it! I remembered hearing something about a "St. Gemma" that Padre Pio (one of my favorite saints, though not just 'cause of the miracles!) had a great devotion to, and that made me want to learn more about her, but I kind of forgot about it and somehow ended up stumbling across this website! It's such a treasure of information and resources, and I love the beautiful pictures as well (especially the colorized ones). When I look at St. Gemma I'm just captivated by her beauty and want so much to be even just a little bit like her! What I wouldn't give to be loved by Jesus just a fraction as much as Gemma was! But I know I don't deserve that, so it's a silly thought. Anyway, I was wondering how I could go about obtaining (if possible a 1st class?) relic of St. Gemma, especially for the purpose of (dare I hope!) possibly being healed by her intercession. I have suffered from a strange series of maladies since early childhood that no doctors have been able to pinpoint (so they call it "somatization disorder", or "hysteria" as it used to be called, which means they don't know, so they label it as such). Somewhere on your website I saw that the doctors "accused" Gemma of having "hysteria" (although she had the Stigmata, I'm only ill!) as well so I felt like maybe, I don't know, I just had this feeling that maybe I found her for a reason and maybe she could help me! I've written down some of the prayers from your site and intend to use them soon, but I just feel so unworthy of the intercession of such an august saint! Still, I feel so ill and desperate to be healed (if it is God's will) that I start to hope that maybe she will overlook my countless faults and sins and have compassion for me. Please pray me for me! (I would pray for you too, but it would hardly do you any good, I know) God bless you and thank you for this site so much! Thanks for your comments. I am glad to hear that you have been led to St Gemma, and that you are inspired by her holy life. I pray that she might intercede for you in regards to your illness and obtain a cure for you, if such would be God's holy will. In regards to obtaining a relic of St Gemma, you will notice in the St Gemma giftstore located on this website that I offer relic lickets, a relic medal and a relic cross. The relics contain either a fregment of linen used by St Gemma, or a fragment of wood from her coffin. Also, you can write to the Monastery of St Gemma in Lucca as they offer various relic items of St Gemma. 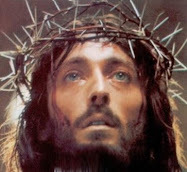 In closing, I thank you for the offer of your kind prayers, and I pray that Jesus may bless and heal you. I hope this is not rude, but I thought that I read or heard somewhere that it is WRONG to SELL a holy relic - EVER! Do you have it by some authoritative Catholic sources that these sales are okay? So far, I love this site and am interested in more about St. Gemma, but this has put me off a bit. God bless! Thanks for your question concerning the offering of relics on this website. All of the relics being offered on this site are normally considered 3rd class relics, that is, they are items that have either touched the Saint, or were touched to her authentic 1st class relics. It is commonly held position in the Catholic Church throughout the world that the canon law forbidding the sale of relics does not apply to 3rd class relics, therefore this is why one can commonly find 3rd class relics (relic holy cards, relic medals, relic rosaries etc)for sale at Catholic shrines and gift shops throughout the world. Therefore, since all of the relics being offered on this website are normally considered 3rd class relics, they can legitamately be offered here as a fundraiser for this website. In addition, a portion of the donations received from this website are sent to Saint Gemma's monastery in Lucca, Italy to help support the monastery and the Passionist nuns who reside there. The relic pouches you have available for donation contain pieces of wax blessed by Pope John Paul II as well as blessed palms. Correct me if I am wrong but I thought it was not allowed to sell blessed items. In that case they loose their blessing. Am I correct? Please let me know. -Great point! You are very correct. While the pouches themselves are NOT blessed, the wax candle fragements inside are in fact blessed by Pope John Paul II, and also the palm fragments are also blessed, I assume. I will say however in my own defense that I actually did not know exactly what the relics were inside when I originally started offering the relic pouches. In fact I didn't know for quite some time. I had assumed that they were simply 3rd class relics. It was only later that I found out from the Passionist nuns at the monatery in Lucca that the relics inside consisted of 3 things--fragments of wood from Gemma's coffin, fragments of blessed candles and blessed palms from Easter. Anyway, I sincerely thank you for pointing this out to me and therefore I have changed the offering for the pouches to now be a "free will" offering, meaning that one can donate whatever amount they would like for them. share our love for her with others. MYSELF TRUPTI,WAS SERFING THROUGH THE VARIOUS SITES READING ABOUT STIGMATICS.......... AND I CAME ACROSS YOUR SITE. I AM INTERESTED TO KNOW MORE ABOT THEM BECAUSE I AM ALSO GOING THROUGH THE SAME BUT INVISIBLE.I DONT HAVE ANY SPIRITUAL DIRECTOR TO GUIDE EXCEPT JESUS HIMSELF.I DONT KNOW WHY AM I WRITING THIS TO YOU....... BUT I THINK THE SPIRIT IS GUIDING ME TO DO SO. Priest for your spiritual guidance and direction. Wonderful information! Thank you! I am a friend to many Saints, (especially St. Anthony, St. Francis, St. Claire, St. Anne, St. Catherine) and am so happy to have found this new interceder of Jesus, thanks to you who brought her to my life. I fully agree that the Saints bring us closer to Jesus by helping us daily in our lives and we then pass on our blessing to others. I will be honored to know St. Gemma as my spiritual friend. Thank you again and God bless you and yours. I have been reading the Saint Gemma Galgani website, with immense devotion and interest. Saint Gemma Galgani is a pwerful intercessor with God. I have decided to make Saint Gemma Galgani my special Heavenly friend, as I have made other saints my special Heavenly friends. Saint Gemma Galgani, pray to God for the Holy Souls in Purgatory. Amen. February 5, 2012, I went into the hospital in an ambulance. An AVM had been discovered and I needed surgery. On 2/8/12 I had an avm craniotomy. My surgery lasted about 7+ hours. I lay in bed for a few days completely on meds. My Mom has always been a devout St. Gemma follower and she brought a framed picture of her to my hospital room. I was moved from ICU to rehab. In rehab I was moved twice and St. Gemma's picture came with me. I was released from the hospital on 2/29/12. My Mom gave me the picture for myself & it remains with me. My first week home was a bit difficult, but manageable. A few weeks later I was in my room and looked at the picture. I told her who are you? I don't even know your life. I decided to go online and search. It just happened to be March 12th which I found out is her birthday. In talking to my husband, I remembered a certain nurse who came into my room. She was so nice and talked about Georgian food. (Yummy!) Than she asked me how would I describe myself. I told her I'm very loyal. She said you could tell. Remembering her I realized she looked identical to St. Gemma. My husband even agreed. It was a pretty rare coincidence. After having discovered more about St. Gemma on her birthday I felt such peace. On 3/16/12 my family and I went to mass for my Mom & deceased Father-in-law's birthdays. There happened to be a guest priest that day. After mass I told him my story and I asked him to bless me as well as my picture of St. Gemma. He told me he loves her. He told me how he belongs to the passionist order. He told me about Lucca. I was in shock. I thought to myself... can it be more obvious? As time has passed family has sent me statues of her from many years ago & more. A family member sent me an envelope full of holy cards. Unfortunately the envelope has been misplaced and I can't remember where it is. I hope it will show up one day. I believe I have distanced myself in my lack of praying. Today I have seen the name Gemma everywhere. So many times so often. I decided to look for your site again and hope to make the connection with her again. I am so thankful for her help. I am so thankful for God and all the prayers. I am so thankful that a year and some change later I am still here to have recently seen my son graduate from high school and stay home with my two younger ones. I have celebrated another birthday (37). Thank you. Thank you St. Gemma for being with me. One day I will be in Lucca. Thank you, Martha for your amazing story. Prayer to Saint Gemma, daily. She is a powerful intercessor! I join Stephen (in the message above) in thanking you for sharing a bit of your life's journey and the struggles and trials that you have thusfar endured in your life. While reading what you wrote I had the very distinct impression that St Gemma is watching over you because of your mom, that is, because I think that your mom asked Gemma to watch over, inspire and guide you. And you are very blessed indeed to have such a wonderful intercessor and heavenly friend in St Gemma. Best wishes and may God strengthen and bless you! If I may be so informal- Thankyou for your beautiful site devoted to St Gemma. I was first introduced to her last year when friend was discerning entering a Passionist community. I had read a booklet on her that endeared me to search deeper into the devotion to the Sacred Heart of Jesus but honestly after that well life went on. It was only last month when I was visiting the Shrine of the Blessed Sacrament in AL that I saw a holy card for St Gemma with a 3rd class relic and attributed her to healings for back pain/issues that I paid her more attention. You are right her picture seems as if she is so alive she is speaking direct to you. I had suffered back pain all my life and have grown to live with it until 4 years ago I suffered more back/hip issues which would sometimes leave me unable to walk without assistance- I am 45. Naturally I was willing to give Gemma a try since I already knew of her deep faith. I came home and prayed the prayer on the back of the card 2 nights in a row and slept with her relic against my back. When I prayed I felt interiorly that I should apply the Holy Water I had also gotten when I was at the shrine. My back pain was gone- I waited for 2 weeks to start telling people (because I have little faith and because last year I had a 2 week periods of being pain free.) One day as I was walking down my hall way ,my back was achy and I just said "St Gemma' intending to follow with a short prayer of plea which was on my heart and as soon as I said her name interiorly a 'wave' went over my lower back and instantly all pain was gone again before I turned the corner to my bedroom where I keep her card on my bedside table. I kissed her picture- she is a true friend of mine among many saints but there is definitely something personal about Dear St Gemma- perhaps because I am a March baby too? Now I am telling everyone. Thank you, Christine for your beautiful story. I, too, have a Prayer card of Saint Gemma. pray for her intercession in my life, everyday! ablaze with the Fire of His Love! Thank you for sharing the wonderful grace that you recently received. I am very happy to hear of your new devotion to St Gemma. I pray that she may continue to intercede for you and may she always be very close to you. I have read Fr. Germanus' book on St. Gemma at least 3 times and recently read Fr. Amedeo's book, her autobiography as well and now her diary - thanks to your website. I can't seem to get enough of this Saint who more than any other that I'm aware of so closely identified with Jesus, His suffering,how much He loves us and how much He wants us to love Him. I truly believe that while alive and certainly in death, she experienced a oneness,even intimacy(child that she ever remained) with Him as no other saint has. At her death described in Fr. Amedeo's book, I felt as though I was there and experienced the same emptiness and sorrow that others there felt - and for a short time after, a loneliness for her. All the adversity that she went through which left her faith and love undaunted,struck me. Thanks for your kind comments and for sharing a bit of your devotion to St Gemma. I pray that Gemma may always be very close to you, and may she lead you ever closer to Jesus, her beloved Spouse! I really like the photo of her looking directly into the camera too! I have a request for a holy card of her and would like to use that picture in designing the card. Do you know if it's in the public domain? I don't want to violate copyright. To reply to your question, the two black and white photos of St Gemma are in the public domain. Thanks so much! If I have any success in colorizing it, I'll send you a copy :). A week or so ago I took three traditional wrought iron nails and lay them on our family altar, though I did not cross them over one another. I had never heard of St. Gemma or even the Passionists. Two days ago I found your site dedicated to St. Gemma, and I immediately adored her and understood her message to us about how we should love Jesus with the greatest ardency! The next morning, as my wife and I walked down a street not far from our own, I saw an elderly man sitting on his porch steps, head in hands, obviously sad and alone. I felt immediate compassion for him, and suddenly I heard Gemma say, in my heart, 'Ask me to visit him, and I will.' So right then my wife and I prayed that Gemma would visit the lonely man. An hour or so later I walked to the local shrine bookstore to see if I could find Gemma's books or maybe a prayer card. All that they had was an April 11 entry in a book of modern saints, and the final sentence was that Gemma, of recent, has been known to be a comfort of the lonely. This was the confirmation we needed to know that already she knows us as friends and is ready to serve, as St. Therese of Lisieux serves, and many other saints serve while we all await the Last Day. St. Gemma, pray for us! Pray for our chastity! Pray that we love Jesus with burning hearts! Thank you for coming at the command of our Lord. We need your strength, devotion, and mystery, you who hold the hands of the frightened and visit those who have no one--you with your strange black dress and your radiant smile! Sweet, powerful Gemma! Thank you for your comments and for sharing a bit of your recent spiritual journey, and also your prayer to St Gemma. I am very happy to hear that you have been led to St Gemma for inspiration. I pray that she may be close to you and lead you ever closer to Jesus, her beloved Spouse. What a beautiful website. Thank you so much for keeping it alive. I am so edified by practising Catholics who are devoted to God and His Saints in this crazy world in which we live. I am so grateful that the internet can be used to glorify God. May God reward you abundantly! Thanks for your kind words Maria. I am glad to see your devotion and appreciation for St Gemma. I am so pleased to inform you that today I received the St Gemma Autobiography together with the photograph of her and a free relic prayer card. I did not expect it to arrive so soon. I will cherish these items, can't wait to start reading and I already found a perfect antique frame for the photograph. Thank you so much for your efforts and your wonderful website. I love this website. Thank you for giving so much of yourself to do this holy work. I think you will appreciate the following. My younger sister, Mary, has suffered through numerous health issues during the last 30 years due to a back injury, a bad surgery and many pain medications. She still suffers on a daily basis, but not as seriously as she did from 2011 - 2014. During that period, she was hospitalized several times due to constant vomiting and occasionally near death as a result of that and other severe internal issues. I often prayed for her comfort and healing, and at a specific place in my daily Rosary I invoked the intercession of Our Lady and our Down's Syndrome brother, Joseph (who must be with Jesus since his death). I sometimes wondered if my prayers would ever do anything for her. Just over two years ago I read in my Magnificat about two saints, Juliana Falconieri (who suffered constant vomiting when she was near death) and Gemma Galgani (always in poor health). I included them in my Rosary invocation. Since that time, my sister's internal issues have abated dramatically, she has not vomited in two years and has not been hospitalized except when she was battling breast cancer in 2015. Sidenote: I was in prison from March '09 until June 19, 2016 and I offered up my minor sufferings with hers in union with Christ's for the greater glory of God. Praise God for the Communion of Saints and for Holy Mother Church teaching us about intercessory prayer and suffering. And praise God for your 7 children. It is great to hear from you. Thank you for your comments and for sharing with us a bit of your spiritual journey and the wonderful story concerning your sister Mary---thanks be to God! I am happy to hear of your devotion to St Gemma and that you are enjoying the "St Gemma Galgani" website. I hope that you continue to find the stories in the life of Gemma to be edifying and inspiring, and may St Gemma be very close to you and may she lead you ever closer to Jesus and Mary! You're a very special and blessed man. God bless your good works. Happy New Year! This is such a beautiful saint I do hope that a new parish will take her as their patron in the US soon :) Thank you Glenn for posting this website! I am a CAT convert and so appreciate your zeal for the church and can see by your photo how happy you are to be a Catholic Christian :) I came looking for the patron saint of back troubles, and I forgot all about my aches while reading this.....so Gemma is off to a good start with me, lol! Thank you for your kind message. I am glad to hear that you have been led to St Gemma! I pray that she may be very close to you and intercede for the healing of your back pain, and may she lead you closer to Jesus. Thank you for your sharing your faith. Jesus knows all and you are apart of his glorious plan with your posts. I was touched.